A couple of weeks ago I parted with a gun I had no use for. I didn’t expect to spend the money so quick but I found this High Standard Supermatic Trophy and had to have it. I picked up this LSP barrel and scope base for it too. Depending on how well it performs, this may be my new CMP Rimfire / backup 22 Dot gun. New toys! 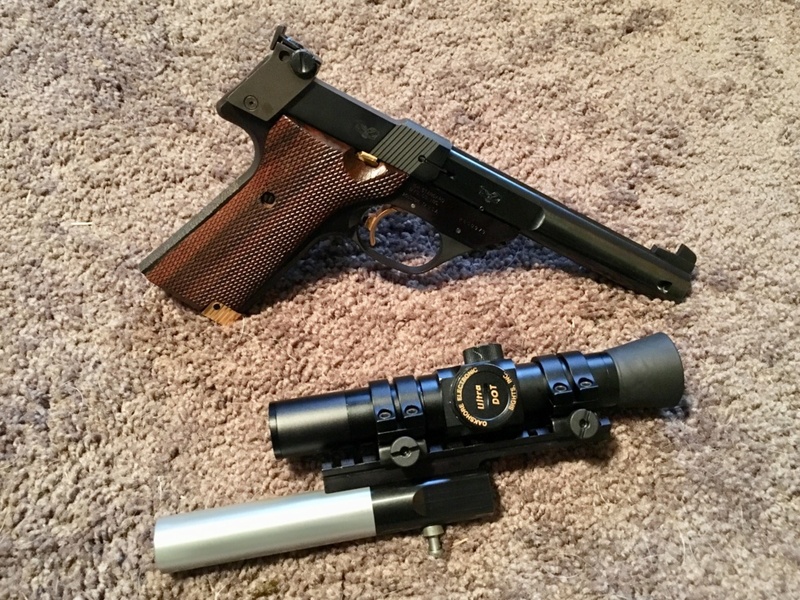 Other than the (knock on wood) magazine issues that can crop up, the old High Standards are awesome guns with great triggers. 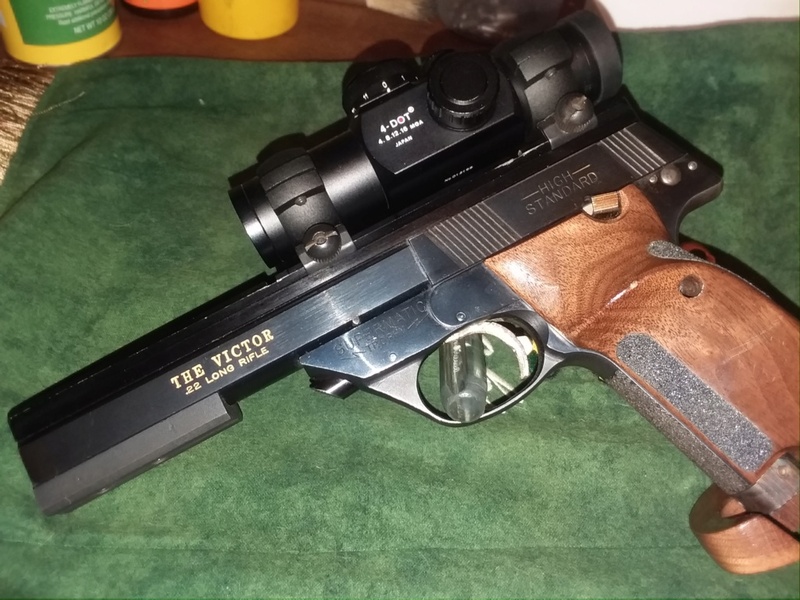 Nice, a friend of mine has a bunch of High Standards and they are nice shooting pistols. weber1b wrote: Other than the (knock on wood) magazine issues that can crop up, the old High Standards are awesome guns with great triggers. This one is a early/mid 1990’s model out of the Houston Texas shop. So far 50 shots and no hickups. Only one mag though. Need to test the other three. I like them also Tim great triggers, and to me the magazines are easy to tune. Jason, Let us know if you like the the aluminum sleeved barrel. I am curious if will be light on the muzzle end. tceva wrote: Jason, Let us know if you like the the aluminum sleeved barrel. I am curious if will be light on the muzzle end. For me, the aluminum barrel with scope weighs in like the steel barrel with no scope. I solved the magazine adjusting problem. For the cost of the tool I had Roddy Toyota adjust my 5 mags while he was changing out all the springs for me. It probably didn't need the springs changed but now I shoot with confidence. Nice pistol Jason. Now you just need a set of grips, an obsolete scope, remove the rear sights and find a barrel they don't make anymore. Then you too can have a Franken Standard.